It’s almost that time again…Valentine’s Day. Depending on who you ask, it’s either a wondrous holiday filled with cards, candies and dates, or a miserable day to stew in your own juices about. In my mind, Valentine’s Day is an equal opportunity holiday when all kinds of love is valid and can be celebrated; not just the romantic type. And since we’re here together on Cartoon Research, we can of course share in our love for cartoons! To celebrate this special day, I’m making Valentine’s the theme of my next 16mm Cartoon Carnival. I always have a fun time putting together holiday-themed and seasonal screenings, and as many of us know, there are tons of great contenders for a Valentine’s show from the golden age of animation all the way back to the early silent era. Love, romance, and all the trials and tribulations thereof were injected into a ton of cartoons throughout those decades. 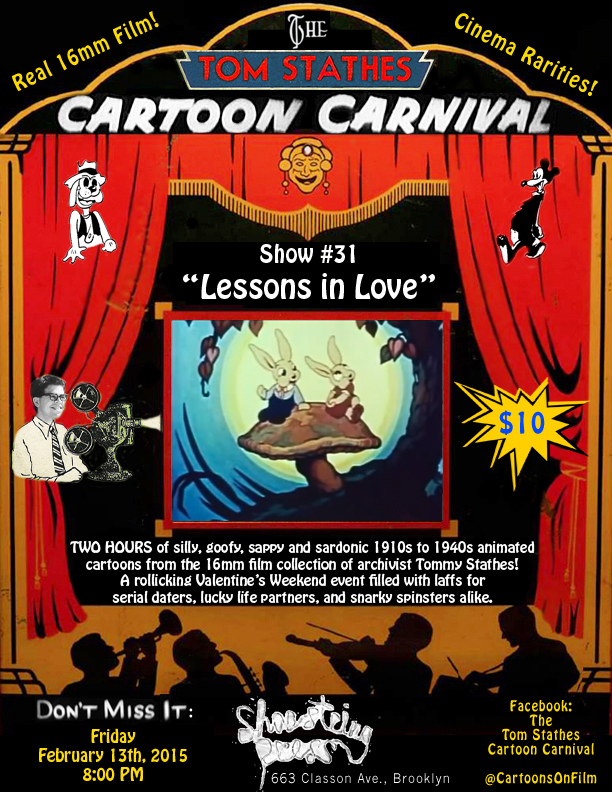 If you’re in the New York City area, definitely try and make it to Cartoon Carnival #31: Lessons in Love, to see how animated humans and animals of yesteryear got together, broke it off, and navigated the world of romance well before the days of texting, internet dating sites, cohabitation, and couples’ therapy. The screening of 1920s-1940s cartoons, on ‘reel’ 16mm film, will be happening at 8pm this Friday, the 13th, at Shoestring Press (663 Classon Ave., Brooklyn). You read that right…Friday the 13th. Hopefully there won’t be a full moon, or things might get very weird–not just lovey dovey! This is also the first Cartoon Carnival at which my recent Blu-ray release, Cartoon Roots will be available for purchase in person. Oh, and if you didn’t already see it, here’s a recent interview with yours truly that appeared in a local Queens newspaper. The piece goes into some detail about my work with archiving early animation. So, what are some of your favorite cartoons relevant to this upcoming holiday? Here’s one of my absolute favorites…Van Beuren’s Cupid Gets His Man (1936). 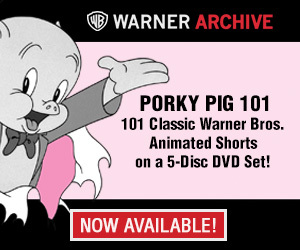 Sadly, I don’t yet have a 16mm print of this, so we can only enjoy it together here on Cartoon Research. P.S. 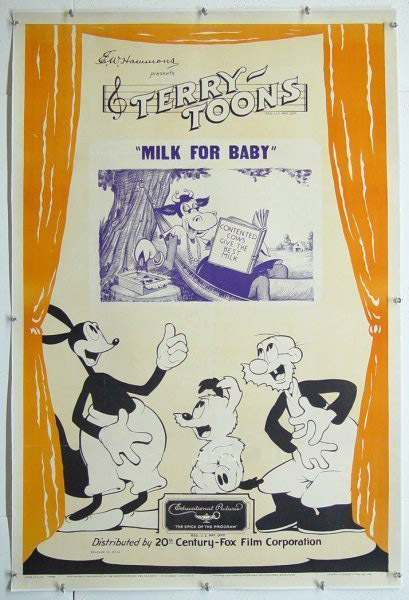 I’ve always absolutely adored the above animated caricatures of W.C. Fields and Edna May Oliver, and was really pleasantly surprised to find another such example of the duo recently in Milk For Baby, a 1937 Terrytoon. 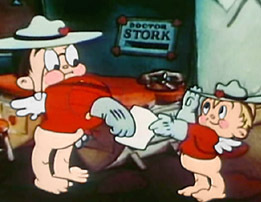 I think out of the two cartoons, the Terrytoon takes the cake for ridiculousness. Have fun! Hmm, two New York studios use caricatures of the same two stars…somebody move from Van Beuren to Terry? Forgot to make mention of the obvious Molly Moo Cow characters being in the Terrytoon as well! Looney as I am, my vote goes to Stupid Cupid. Fudd as Cupid; it just works. In the VB toon, however, I do appreciate how Dan Cupid’s army is uniformed. Ready for love. I know it’s an old cartoon and all and I understand the background of it all but man, seeing that black stereotype kinda took the enjoyment out of that cartoon for me personally. Otherwise it was an interesting film. 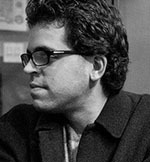 I found out about Tom’s programs only recently, so I’ve only made it two of them, but they were both great, and I highly recommend them to anyone in the New York area.